Get her margarita right. Kai likes her margaritas on the rocks not blended. She played Ani Difranco songs on her guitar for a San Jose State University audience. 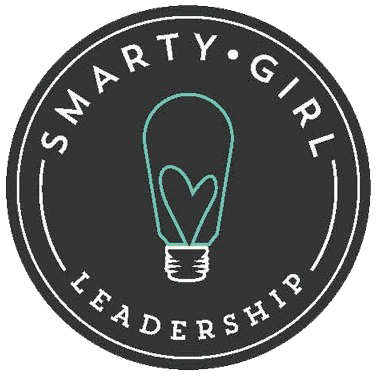 That’s how she met Renee Marchol, SmartyGirlLeadership Editor-in-Chief, years ago. Kai Shuart caught up with Renee over a visit together at Seattle’s MoPop music and pop culture museum recently. “I really like the ideas of a post-show routine and using the scientific method to boost your career,” said Kai. So our Editor-in-Chief invited Kai to be our blog’s guest music reporter and do a bit more research this past Spring. 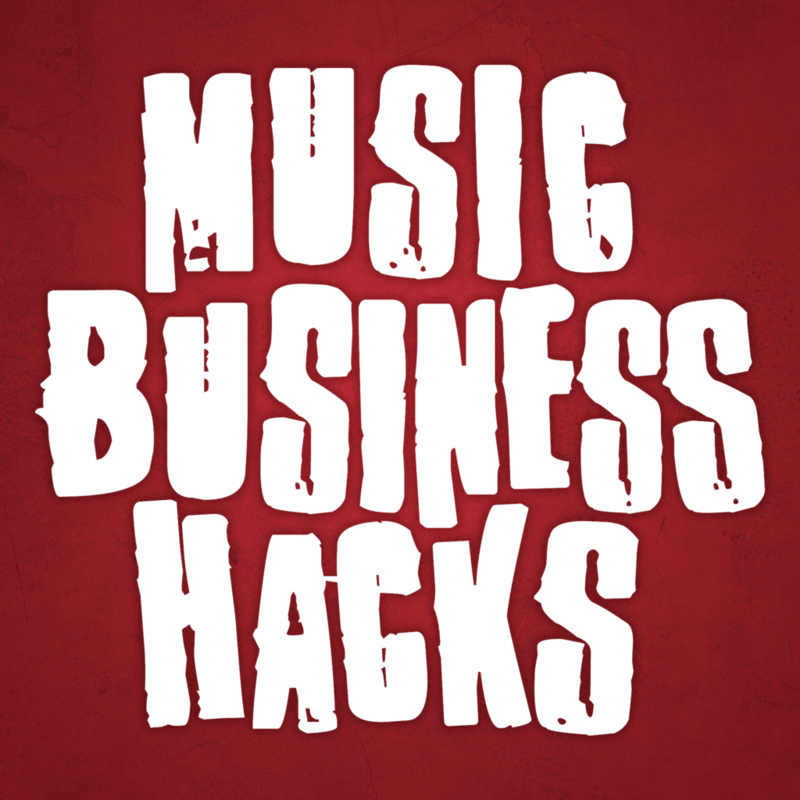 She read the book Music Business Hacks and listened to a couple of Music Business Hacks podcast episodes. She came up with interview questions for the author and musician Simon Tam. You can hear the audio here. You can also read the transcript below. Hey! 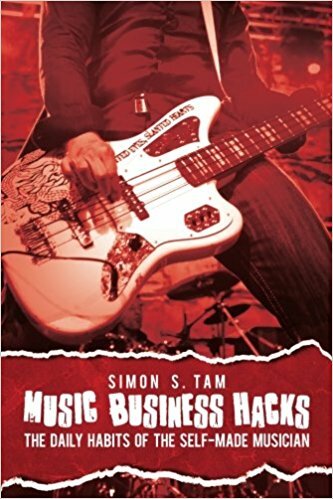 This is Simon from the Music Business Hacks podcast and author of Music Business Hacks. How do you frame bad news? You gave the example of getting banned from a club. How did you frame it so that nobody is afraid to book you, or do you embrace the bad publicity? It makes sense to focus group things like album covers, merch design etc but how do you make room for spontaneity and an individual voice? How does one get out of the mindset that a rehearsal is “just messing around”? Is it just creating a firm space/time boundary to hone your craft or do you think it’s something else? So in terms of framing bad news when it’s an internal culture like band members, publicists, management or that sort of thing I frame any kind of news as honestly as possible. If we are in fact being banned from a club if something didn’t go well I think it’s important to be honest and have that conversation with ourselves to figure out how we can prevent things from happening again. What can we do to improve? I don’t like just to criticize folks just for bad behavior or to focus on the negative. I always like to propose a solution for whatever we are encountering. In terms of publicity. I think about it in terms of how our most dedicated fans would view it. When you think about perspective I think about what our deepest supporters would think and kind of go from there. Another way of thinking about it is: What would my mom say? What would my best friend say? If they have my back behind whatever happens then I have a feeling that that in a broader picture our audience will most likely be supportive as well. So back over 10 years ago. My band, the Slants, got banned from a club for breathing fire. Now it was something we cleared with the venue in advance. We had the emails to prove it. The stage manager freaked out on us while we were on stage and basically canceled the show. The audience in the club was so upset because they clearly didn’t see any issues that they all left which meant the room was completely empty for a band that they paid a lot of money to be there for after us. There were only two people and they were both in my band because we felt bad for what happened. Everyone else went down the street to hang out. We were just getting some drinks and food and hanging out with everybody. They saw what happened. They thought it was really inappropriate of that venue. They wanted to support us. Another incident would be when we joined a battle of the bands event. Now, I normally hate battle of the bands events. I think they’re cheesy and a system to create gains for promoters usually. So we entered basically on this premise. We would stay in as long as we like but the moment we felt uncomfortable or we didn’t like what was happening we would drop out. We entered a competition to win a chance for a million dollar recording contract as well as a spot on a reality tv show kind of like American Idol but for touring bands. Long story short we started killing it every single round. We got first place. We weren’t necessarily doing everything they asked us to. They really wanted bands to sell tickets for them but we felt uncomfortable charging people $15 to $20 per ticket for a four-song set from us and force them to watch six other bands. We didn’t care about that. We just thought our music should stand on its own. By the time we got to the semi-finals the president of the record label actually flew out to come to see us specifically. They gave us the contract. So well before this contest had ended, well before the reality tv show which was supposed to have this Grand prize we were offered the prize. I looked at the contract, had an attorney look at it. It was terrible so we decided to drop out of the competition. The label instead decided to twist it on it on us saying we were disqualified. That we somehow tried to cheat or something like that. So we put out a press release telling the truth that we rejected the million dollar contract. That the system was rigged. This multi-million company was trying to bully this small independent band. Well, it didn’t go well for them despite how much publicity and power they had. People liked the story of the underdog. They wanted to support the band That was struggling and they wanted to support what was happening with what we are doing. So I think it’s important to consider context. What are your greatest supporters going to think? Because in the end, that’s all that matters. We don’t really care about the general public per say. We care about the people who are on board with us, who support us, who understand our values and know what we stand for. If they’re with us then it doesn’t matter if the overall sentiment and press is bad. Overall we believe that sentiment will change especially if you have supporters willing to fight for you. Okay, in regards to the scientific method. It makes sense to focus group things like the album cover and merchandise. How do you make room for spontaneity and individual voice? The scientific method is something really amazing and underappreciated. Very underutilized in the music industry and marketing as well. I think it’s an important way to hone your voice because you get to test out what works what doesn’t. It’s simply a hypothesis. Then you have a specific set of measurements to see if your hypothesis proves true or not so it doesn’t actually remove spontaneity it supports it. You can spontaneously think: would this idea work? Of course, you measure it. The most important part of the scientific method is that you actually measure. Too often I see artists trying to make room for spontaneity by putting out messaging, by trying something new on stage and not actually taking the time to dissect. What worked about it and what didn’t? So whenever people want to have a specific individual voice, spontaneous expression, or anything like that. It should be done with a larger set of goals in mind, a hypothesis in mind. There should be some kind of tracking system. Hey, does this work or not? For example, if you look at top performing artists out there. People who are performing at the top of this industry when they actually have shows there are two ways to go about it. One, it’s the same show every single time. There are certain bands that play the exact same set. The artists say the exact same thing night after night. They might change the city name or have something that addresses the audience at that specific concert but they are doing it the exact same way they always do. Then there are artists who change it up every night. For example, Ringo Starr kind of customizes the set each night. They take time to have a long conversation and narrative with the audience. Interact with the audience and kind of play off of it. However, those skills have been honed over time. While the words might change the approach is the same because they’ve developed a method that has been based on what works. For example, learning how to talk to the audience about certain topics. Depending on what the audience responds with they can play off of that. But there still some kind of testing involved. If a show bombs or specific moments that don’t work. They change it for the next time. So in terms of the scientific method and the performing arts comedy is the best example of this because you can see how people hone their voice over time. This is why even high profile comedians like Dave Chappelle and Robin Williams would do this. They go to smaller more intimate comedy clubs to test out jokes to see how they play out and to hone those jokes over time sometimes on tour before launching it into say a comedy special. You can oftentimes find Youtube of comedians evolving their jokes over time. Well, there’s no reason why musicians shouldn’t be doing the same thing. In terms of their performance or creating music. It’s all about goals, measurement and testing out what works and what doesn’t work. Third question here. I guess this would be really related to treating rehearsal like performance. How does one get out the mindset that rehearsal is just messing around? You create those expectations in advance so people don’t see it as a time to mess around. Of course, there’s something to be said for time set aside for creative expression. Let’s get together, jam and see what comes up. Let’s try to write songs. I think those are different times. But a rehearsal is preparing for the live show. Whatever you do, the rehearsal could also be approached with the scientific method as well. Like we have hypothesis or theory that we believe if we rehearse the set this way that we can time down to 29 minutes flat. You start working on that idea until you get to that point. This debut article of Kai Shuart as music journalist is dedicated to her dad who inspired her love for music. Kai is a pop culture expert, teacher of children and a musician. She sees music as a way to address uncomfortable subjects with a safe buffer. She cites Tori Amos’ “Me and a Gun” as a prime example. A musician can choose to use real, traumatic experiences and change the details a bit or even create a character in order to confront the uncomfortable at a safe distance. Teacher of children? Yep. Kai is a Montessori teacher on the West Coast. A typical day that includes a music curriculum? In 2018, she brings in her drum collection and thumb piano into the classroom. Interested in hearing teacher, performer, singer-songwriter Kai Shuart play? If you are able to catch her live, meet her first over a pescado burrito to hear her thoughts on practicing daily habits. Meanwhile, subscribe to her emerging YouTube channel.